We're just moms focusing on being real instead of perfect. This post may contain affiliate links. Please read our full disclosure policy. 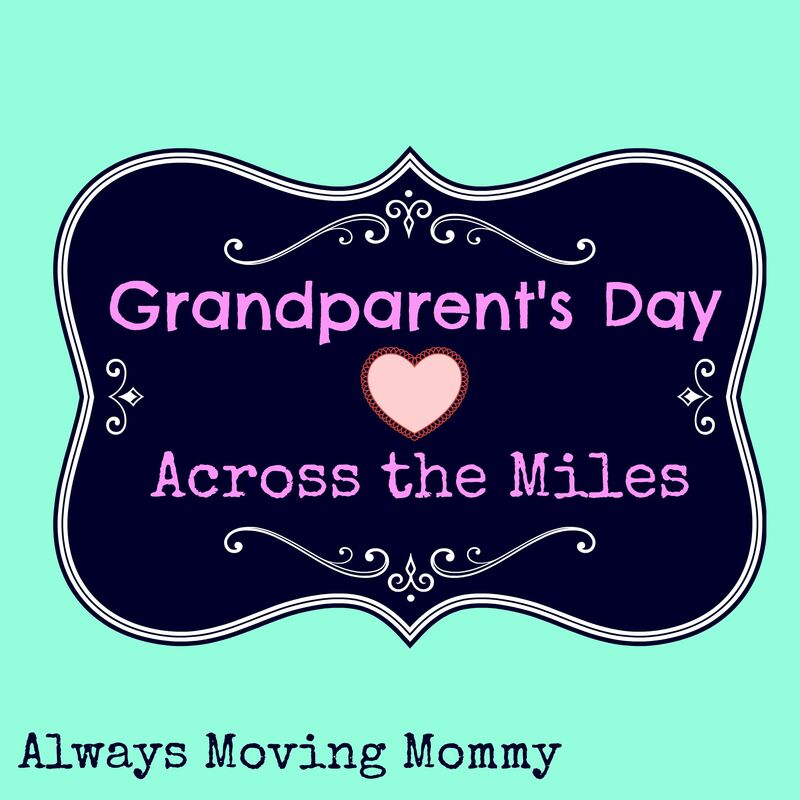 Near or far, grandparents are always in our hearts. This Sunday is Grandparent’s Day so take a moment to show your appreciation to those special people in your lives who are (or are like) grandparents to you and your kiddos. Don’t worry – you’ve still got time to put a fantastic gift together for them! With a little bit of planning and effort, they’ll never know you waited until this week to make a heartfelt gift for them. Shipping – is it included or do you need to add that into the cost? Coupons – if you sign up for the company’s mailing list, do they offer a coupon code for a discount on your order? Cash Back – shopping through ebates can help you earn money back on your purchases. Simply go to the ebates website and search for the company you’d like to order from. You’ll be directed to follow a link to the company’s website and ebates will track the amount of your purchase. After you’ve shopped a few times, you’ll get one of their Big Fat Checks in the mail. Yes it’s true – you can get paid for shopping! If you’re not already a member, sign up for ebates now! The 1800flowers.com family includes The Popcorn Factory, Cheryl’s Cookies and Fannie May treats. You’re sure to find something here that the grandparents will love. Let Grandma and Grandpa get their grill on with Omaha Steaks. If steaks aren’t their thing, there are lots of other delicious options. Sticking with the food theme but a healthier option, Edible Arrangements will brighten anyone’s day! This cute subway art style print combines grandparent quotes with the names of all their little darlings. 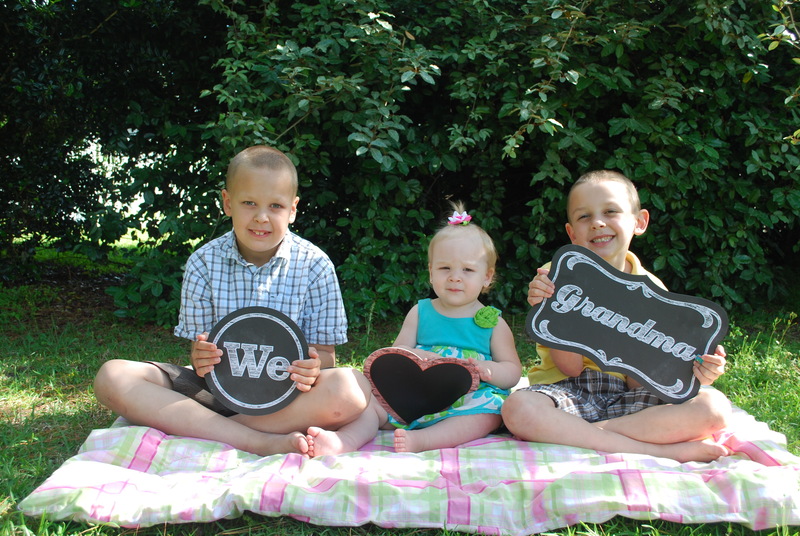 Share pictures of the grandchildren in this beautiful frame. Let them show off their grandbabies in style with the customizable necklace that includes all the grandkid’s names. Glued to My Crafts had the great idea to mail kisses! I’m sure the kids would have so much fun making the kisses to be mailed. If you’re feeling a bit more crafty, check out these adorable flower pots from Mod Podge Rocks with pictures of the kids right on the pots! Keep it simple with a printout or drawing from the grandkids and a simple picture. I got my props from the Hallmark Store. It’s a lost art really. Consider having the kids write a letter to their grandparents. Everyone loves seeing something else in the mailbox besides bills so this would be a much appreciated surprise I’m sure. Check out The House of Hendrix for some writing prompts and interview questions if they’re stuck with what to include in their letter. You could even make Grandparent’s Day last all year and kick off a letter writing campaign with a goal of writing one new letter each month for the next year. Postcards work great too if a whole letter is too much for the kiddos to tackle. How will you be showing the grandparents extra love this weekend? Leave a comment and let us know.